Can local services marketplace Sulekha's pivot help it turn a profit? Sulekha.com, a digital classifieds platform for local services, expects to post an operating profit for 2017-18 after racking up massive losses over the past two years due mainly to investments made in technology to fend off new rivals. The marketplace, operated by Chennai-based Sulekha.com New Media Pvt. Ltd, began operations in 2007 after founder Satya Prabhakar moved to India from the US. While the company made some profits in initial years, it subsequently battled stiff competition from the likes of Just Dial Ltd, OLX and Quikr. Search giant Google and the entry of local services marketplaces such as Urbanclap and Housejoy made matters worse for Sulekha. Heightened competition prompted the company to revamp its business model and undertake a massive technology-led transformation that leveraged artificial intelligence and Big Data. This change began after it raised $28 million in its Series C round of funding in April 2015 from Singapore sovereign wealth fund GIC and existing Silicon Valley investor Norwest Venture Partners. The heavy investments plunged it into net losses for 2016-17 and 2015-16. 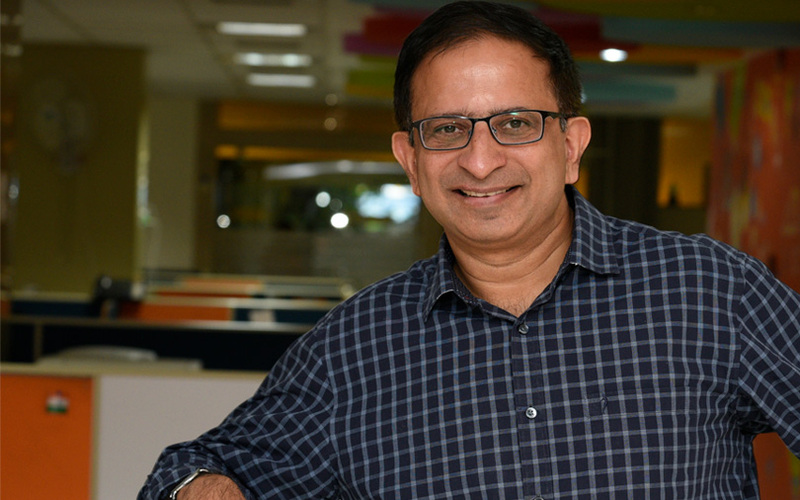 "We incurred losses due to investments in technology and data even as we shifted from plain exposure-based listings to accountable and actionable leads for SME (small and medium enterprise) clients," Prabhakar, who is also the company's chief executive, told TechCircle. "We have now transformed into a matchmaking platform and not just a local search engine," Prabhakar said. The company swung to a net loss of Rs 105 crore for the financial year ended March 2016 from a net profit of Rs 22 lakh the year before. Similarly, it swung to an operating loss--or earnings before tax, interest, depreciation and amortisation--of Rs 100 crore from an operating profit of Rs 4.4 crore. The heavy loss was accompanied by a steep rise in costs and stagnancy in revenue. Total expenditure shot up to Rs 272 crore in 2015-16 from Rs 154 crore the year earlier while net sales were little changed at Rs 157.6 crore compared with Rs 157.3 crore for 2014-15. However, things are looking up now. For 2016-17, the company managed to keep total costs stable at Rs 278 crore and increased net sales almost 26% to 198.4 crore. This helped narrow the net loss to Rs 82 crore and the operating loss to Rs 74.8 crore. To put things in perspective, Mumbai-listed Just Dial posted revenue of Rs 718 crore and a net profit of Rs 121 crore for 2016-17. Bengaluru-based Quikr is the biggest Indian online classifieds company by valuation--almost $1 billion--and has raised $350 million from investors to date. Quikr's net sales rose 55% to Rs 63.7 crore for 2016-17. It hasn't yet disclosed its bottom line number for the year, but had posted a loss of Rs 534 crore for 2015-16. A venture capital investor, who asked not to be named, said that Sulekha has controlled its expenditure better than many others that have raised more money, like Quikr and OLX. Prabhakar said Sulekha has been reporting an operating profit since the July-September quarter and expects 2017-18 revenue to grow 20-25%. He also said that, after the revamp, the platform now collects and harnesses around five million data points a day. It has also started self-registration for SMEs on its platform and is adding 15,000 SMEs every month, he said, adding that this has helped control costs. Also, Sulekha's unique users have surged to 240 million last month on an annualised basis from 150 million two years ago. Prabhakar said that the company's comparable competitor in the US, HomeAdvisor, is valued at $6 billion and Sulekha can grow as big. That, of course, is a goal for the future. The immediate target is to turn profitable. And if the past few months are any indication, the company is on the right track.